Surely by now, you've swiftly made your way through your summer reading list. Your favorites long crossed off your list and characters filed away in your brain. So now what? What's next on your reading list? Beach reads? Check. Biographies? Check. Short stories. Check. Psychological Thrillers? Have I got one for you! Last night I finished a book that I could not put down. I started it on Friday and was finished with it by Monday evening. And surprisingly, I didn't sacrifice a weekend of summer activities to finish it. We fit in a trip to a theme park, lunch out and a trip to the mall all while voraciously reading Behind Closed Doors by B.A. Paris. If a book doesn't hook me within the first few paragraphs, I am a tough sell. 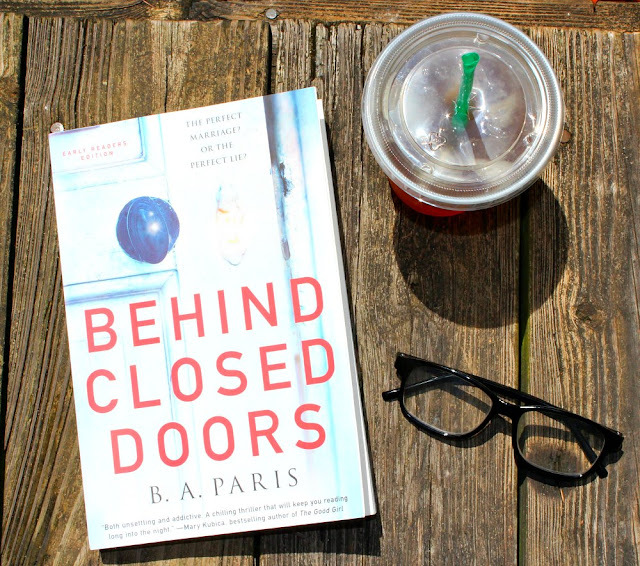 Behind Closed Doors had me at the first sentence, and it only got better from there. Grace and Jack seem like the perfect couple. He's the ever so doting husband, and she is the perfect wife and hostess. Or so it seems. From very early on, we get the sense that all is not what it seems with Grace and Jack. On the surface, they are seemingly ideal. But, of course, what goes on behind closed doors on another story altogether. Behind Closed Doors flashes between the present and the past, giving detailed accounts of people and incidents along the way. Despite the flashbacks, the books flows easily, and it never feels interrupted. It's incredibly well-written, and the details are so clear that you often feel as if you are living Grace's horrific life. Grace's life is anything but ideal. In fact, she's living in her own personal hell, and Jack is completely responsible. Jack is the perfect specimen of a husband. He is a successful attorney who is kind and generous and accepting of Grace's sister Millie who has Down Syndrome. When Grace enters into her marriage, she is looking forward to a happy life with Jack who she considers her perfect companion. He's the one she's waited for her whole life. But as soon as they say their vows, things take a turn for the worst, and Grace enters into a world she never expected to be a part of and one she can't envision getting out of. To Grace's utter surprise, Jack turns out to be sinister and controlling. I can't give much more away without divulging spoilers, and we don't want that! This book is a must-read!! It's riveting and spellbinding. The book is so real. You feel Grace's fear. Her fear becomes your fear, and the fear is paralyzing at times. Will Grace escape the clutches of her controlling husband or will she forever be confined and controlled? 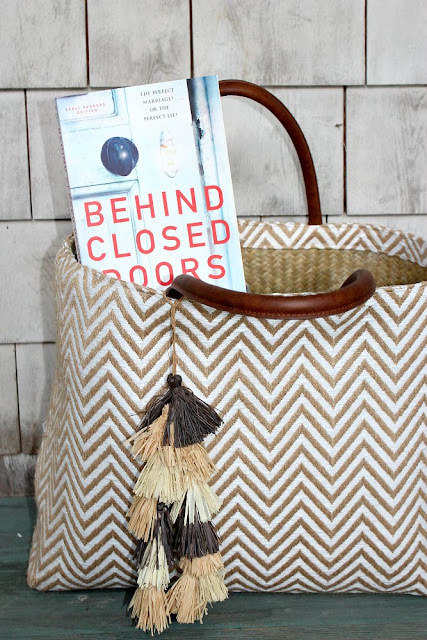 Pick up a copy of Behind Closed Doors, available on Amazon on August 9th. 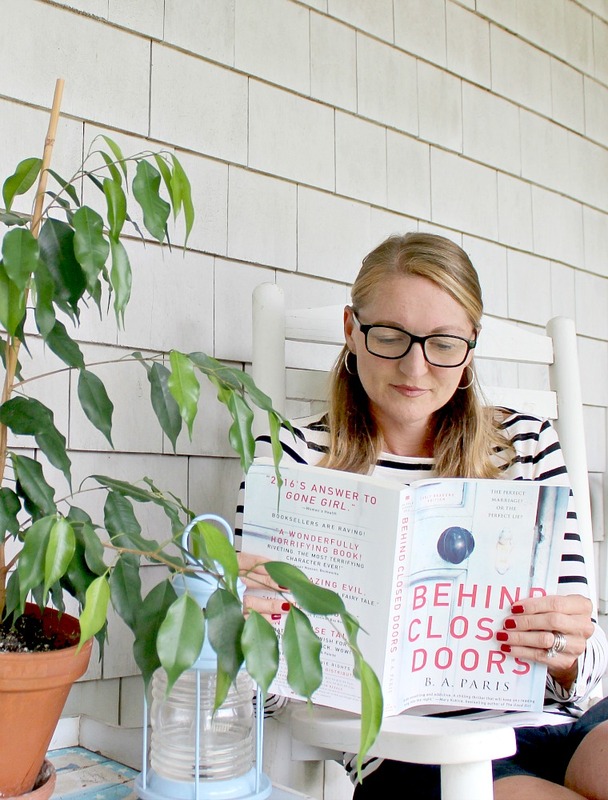 Join SheSpeaks' #BehindClosedDoors Twitter party on Tuesday, August 9th at 2 pm ET. Participants will have the chance to win the Behind Closed Doors prize packs and chat the author. Mark your calendars! You must RSVP to be eligible to win prize. RSVP here: bit.ly/2aNwFru. Don't want to wait to win it? Buy it on Amazon. Will you be adding Behind Closed Doors to your summer reading bag? Let me know what you think of it if you read it!